This sign prohibits turning from Bradley Blvd. onto Woodhaven Blvd. during peak morning traffic hours on weekdays. Students have long ignored the sign, but police have recently begun enforcing the law and ticketing violators. 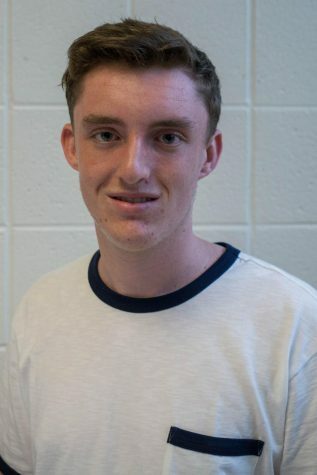 Junior Drew Meadows was 15 minutes late to school on Thursday Sept. 20 because she was pulled over for making a turn that she made every day on her way to school for two years. When she turned onto Woodhaven Boulevard, she was stopped by police, who pulled her and the cars behind her over. Police have been actively monitoring this corner since last Thursday; drivers who made the same turn were given $90 tickets and received one point on their licenses. Meadows was lucky; she got off only with a warning. Montgomery County Police began pulling over drivers who made the illegal right hand turn from Bradley Blvd. to Woodhaven on their way to school Sept. 13. The sign on Bradley prohibits making a right hand turn during peak traffic hours in the morning, from 7 a.m. to 9:30 a.m. 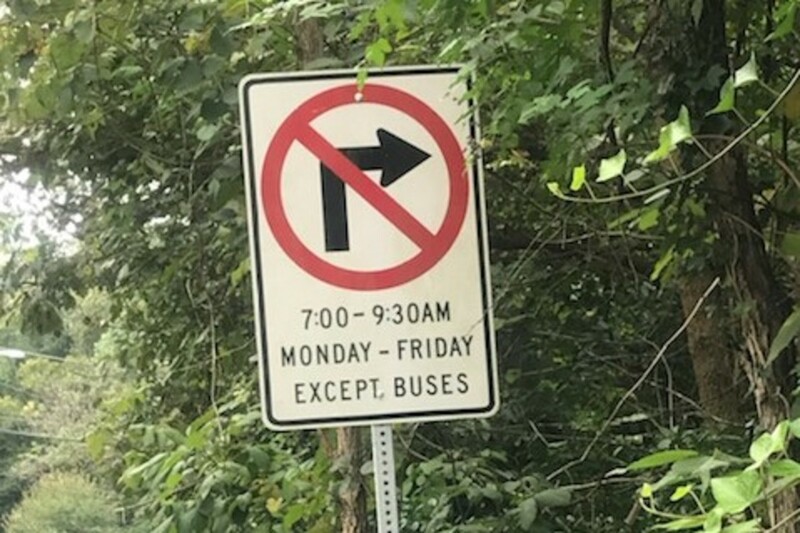 Although the sign was erected by the Maryland State Highway Administration in 1974, the law has long been unenforced, and students have become used to cutting through the neighborhood during their morning commute. The recent enforcement of the law is likely a result of members of the neighborhood complaining, said a spokesperson from the police department. While she couldn’t comment on this specific case, this is true 90 percent of the time, she said. Despite these consequences, some students say they will continue to go this way. Senior Eric Paxon, who saw police but didn’t get pulled over, says the recent events won’t change his route to school. This restriction is ridiculous. Let’s petition to have it removed.